Gemma Sharp completed her PhD thesis in Clinical Psychology at Flinders University in 2016. Her PhD thesis addressed the predictors and outcomes of labiaplasty. She also holds a Bachelor of Behavioural Science (Honours) from Flinders University and a Graduate Diploma in Psychological Sciences from the University of Adelaide. Prior to studying psychology, Gemma trained as a molecular biologist and holds a Bachelor of Science (Molecular Biology) (Honours) from the University of Adelaide and a Master of Science (Oncology) from Cambridge University. She also holds a Diploma in Languages (Japanese). 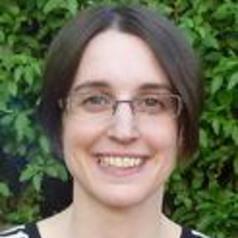 Gemma has conducted research in several different countries including the UK, Japan and Australia. Gemma completed a post-doctoral position at Curtin University in 2016-2017 and since January 2018 has been based at Monash University as a NHMRC Early Career Fellow. She is continuing her research on labiaplasty at Monash. Along with her research endeavours, Gemma is also a clinical psychologist (registrar) with a strong interest in the treatment of body image concerns and eating disorders.